Includes blaster and 2 darts. 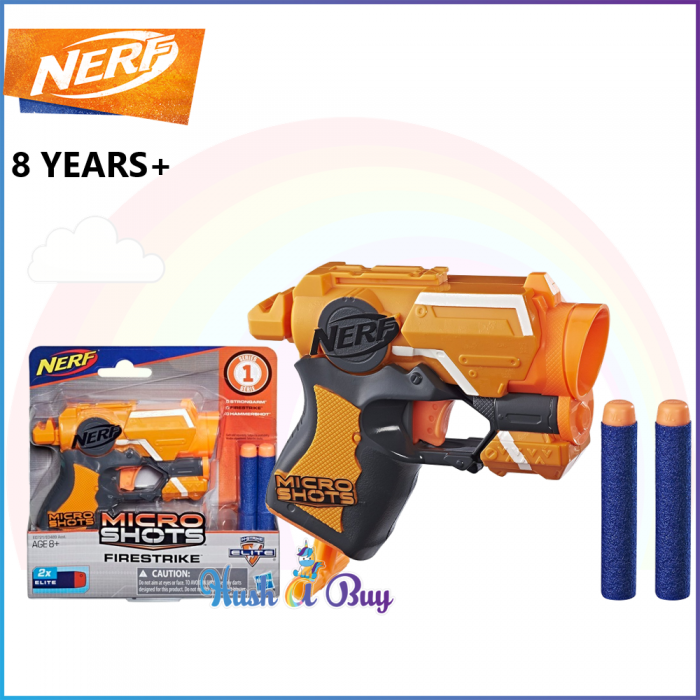 Blast into big fun with Nerf MicroShots series that includes collectible, mini-sized versions of favorite Nerf blasters (each sold separately)! Fire into action with the MicroShots N-Strike Elite Firestrike blaster, which fires 1 dart at a time and comes with 2 Elite darts. 1x Blaster and 2 darts.